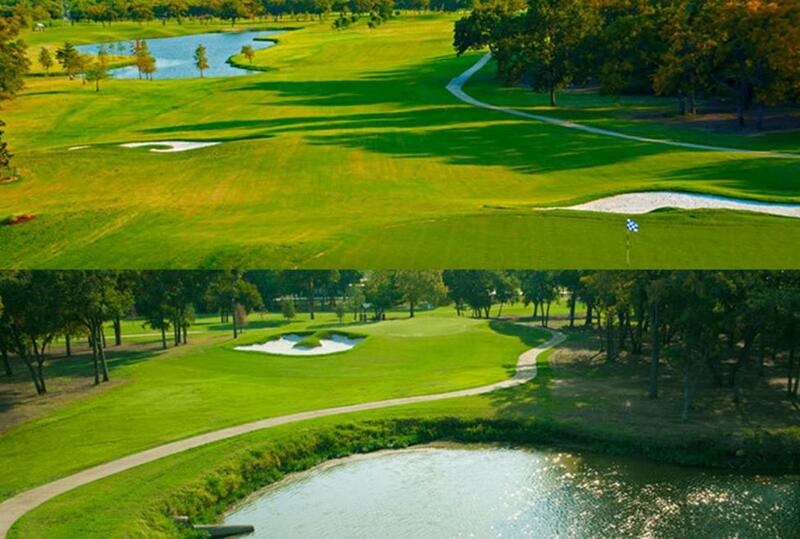 The City of Dallas has transformed LB Houston into Luna Vista, a spectacular scenic golf course in north Dallas. The next golfing jewel in the heart of the metroplex. Opening in 1969 LB Houston is now Luna Vista. Located in the LB Houston Sports Complex alongside the LB Houston Tennis Center and Elm Fork Shooting Park, LB Houston was a popular location for metroplex golfers for many years. Architects John Colligan and Trey Kemp of Colligan Golf have created a beautiful short game area that accommodates pitching, chipping and sand bunker practice onto a large green strategic course for all golfers. Four sets of tees provide that opportunity for each player to "Tee It Forward" to improve their golf experience. The transformation of the course with newly sculpted 419 hybrid fairways, white sand bunkers, Mini Verde Bermuda grass green complexes with the "tour" look and incorporating landscape improvements including magnolias, sweet gum, maples and other varieties of trees, along with multiple ornamental grasses, provide the golfer with a memorable visual appeal.